It is not unusual, when watching news of people in distant countries facing strife, to feel the urge to do something about it, to help out in some way. But few of us actually do anything. 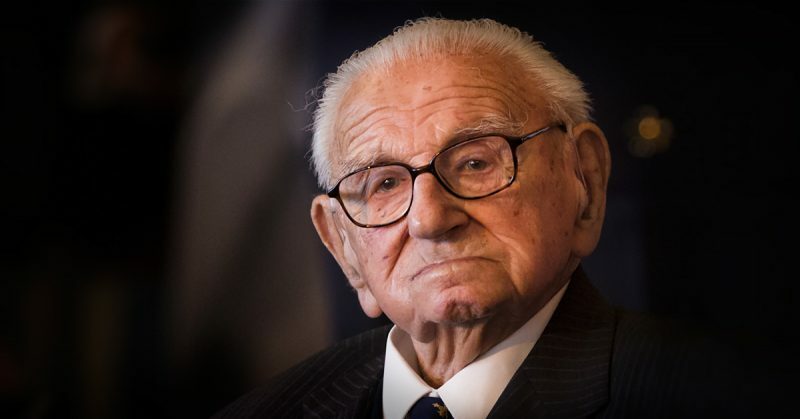 That is unless you happen to be Nicholas Winton. 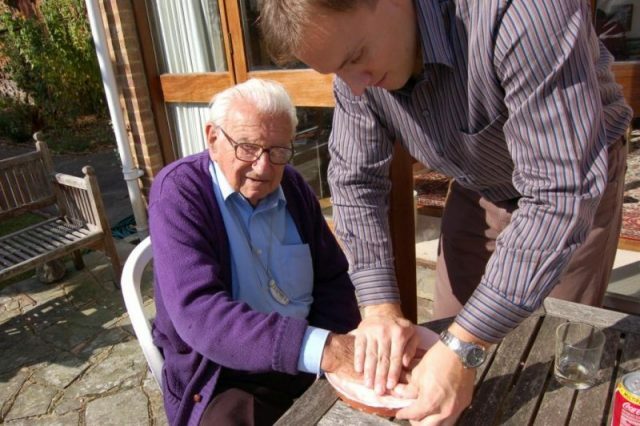 Nicholas George Winton was born in the Hampstead area of London in 1909. He was the middle of 3 children – 2 boys and a girl. 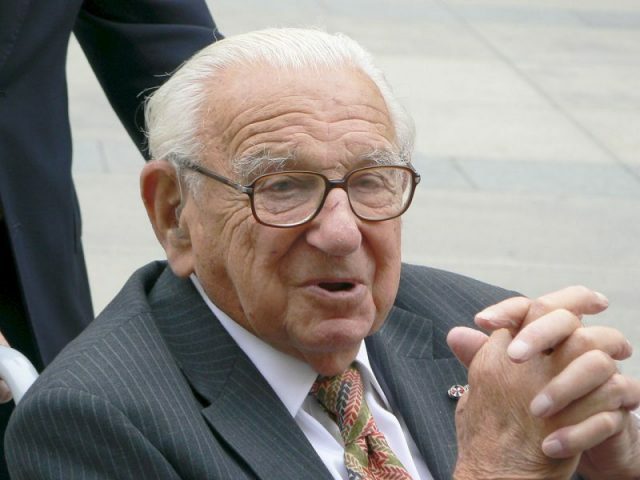 His parents, both German Jewish immigrants, had moved to London only 2 years later. In order to integrate more easily into British society, they changed their last name from Wertheim to Winton, converted to Christianity, and baptized their children. After finishing school, Winton worked at a number of banks, following in the footsteps of his bank manager father, and moved to Hamburg, Germany, and then to France before returning to London. During this time, he was very concerned about the Nazi party in Germany as it was gaining in popularity. In 1939, on what was supposed to be ski vacation in Switzerland, Winton was instead convinced by his friend, Martin Blake, to visit him in Prague and to help with refugees on the run from Adolf Hitler’s advancing forces. Winton agreed and was incredibly affected by what he saw. Already, thousands of refugees had been forced to leave Sudetenland, which was a Czechoslovakian area under German control. As Winton later told the BBC, “The task was enormous, but I had to do something. Winton set up an office in his hotel in Wenceslas Square in order to facilitate his rescue work. Britain had already agreed, following the Kristallnacht in November 1938, to allow entry of refugees under the age of 17 into Britain, as long as they had a place to stay and a guarantee of £50 each had been paid for their eventual return to their home country. 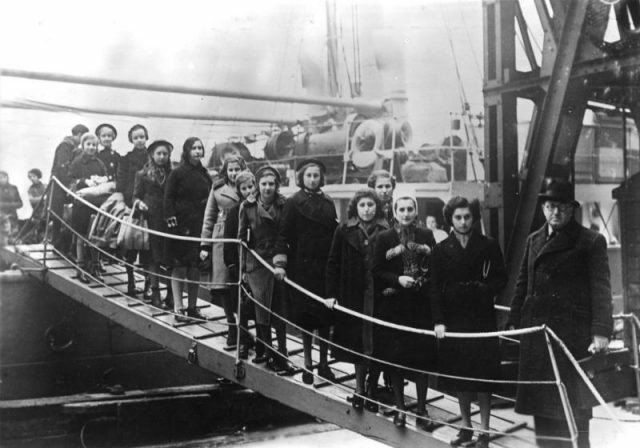 The Dutch government, however, closed its borders to any Jewish refugees, creating a significant obstacle since the route to the UK went through the Netherlands. However, since Winton had guarantees for each child, the process of crossing the Netherlands went relatively smoothly. 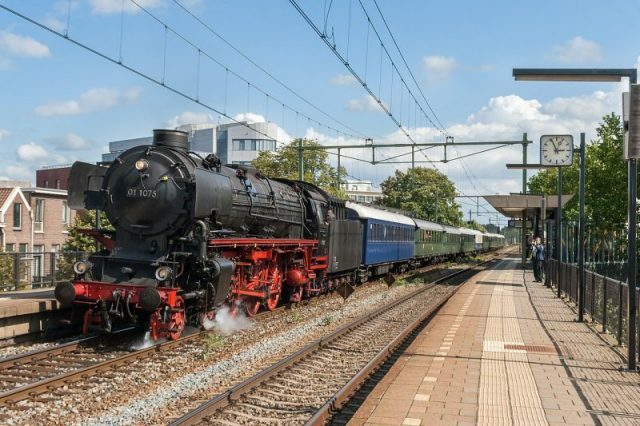 The Winton Train passing Arnhem Velperpoort railway station in the Netherlands. Between March and August 1939, Winton worked tirelessly to transport the children to the UK, all the while keeping a day job as a stockbroker. He advertised in newspapers and at churches in the UK, raising funds for transportation, as well as managing the logistics of this mammoth task. 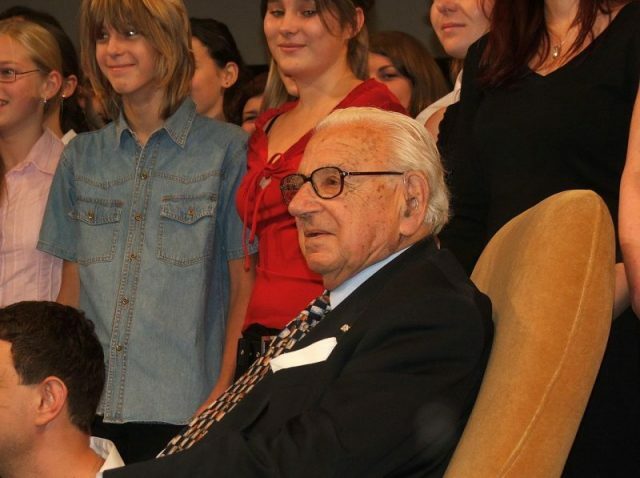 In all, he saved 669 children before war officially broke out in 1939. 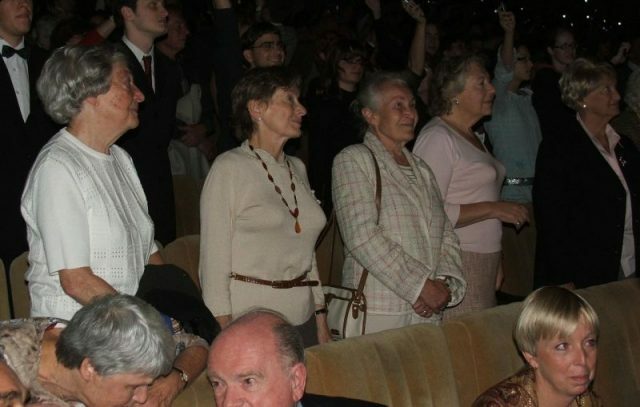 The parents of many of the children died in Auschwitz. Once in Britain Winton’s mother worked with him to find homes for the children. The headboard worn by No. 60163 Tornado from Harwich to Liverpool Street station, the final leg of the Winton Train from Prague. 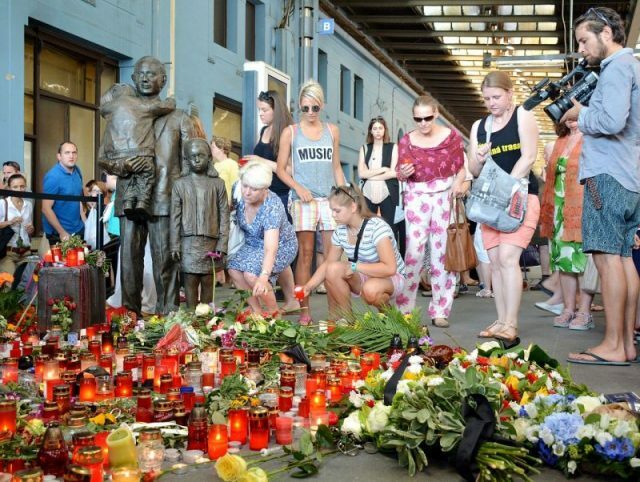 Unfortunately, due to the outbreak of the war, the last group of 250 children, which was scheduled to leave Prague on 1 September 1939, was not able to go; only 2 from the group would survive the war. After serving as an officer in the Royal Air Force during the war, Winton worked for the International Refugee Organization and later the International Bank for Reconstruction and Development in Paris. He later married and had three children of his own. His efforts in 1939 went unrecognized for the most part until his wife found a scrapbook of names in their attic in 1988. She passed it on to Holocaust researcher Elisabeth Maxwell. Later that year, Winton was invited as a member of the audience to attend the taping of an episode of the BBC TV program “That’s Life.” His scrapbook was shown, and his efforts recounted. More than two dozen people, sitting in Winton’s immediate vicinity, stood up and applauded. Winton, clearly moved, also stood up, smiling gently, wiping tears from his eyes. In 2014, he received the Order of the White Lion (1st Class) – the highest honor of the Czech Republic. 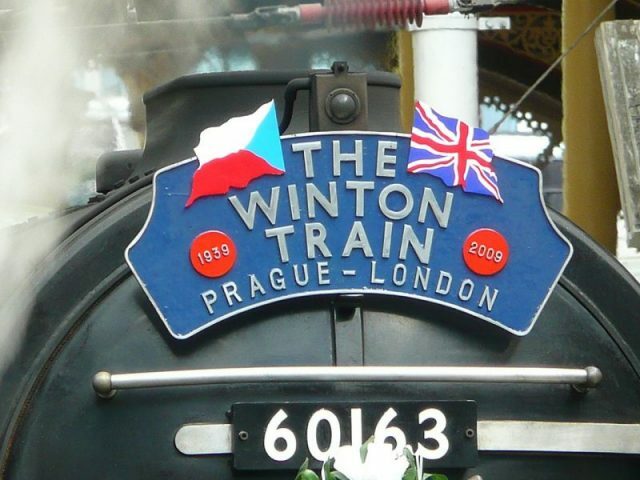 Winton died in his sleep at the age of 106, on July 1, 2015, 76 years to the day after 241 children he had saved left Prague by train. 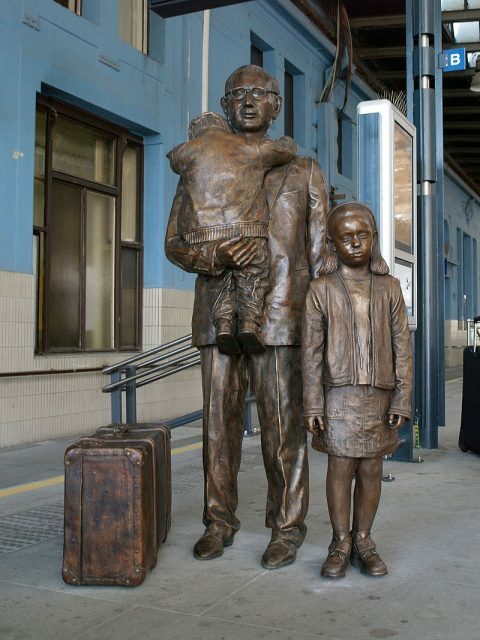 A statue in his memory can be found on Platform 1 of the Praha hlavní nádraží railway station, and 4 other memorials to the Kindertransport and Winton can be found in Liverpool Street Station and Maidenhead Station in London.